Cotton "warrior" Socks are made from 90% cotton and 10% Polyester. 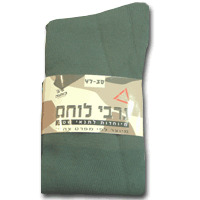 The Idf official sock color is grey. conforming to the IDF standard, and offers breathable comfort and durability.